Oil is the lifeblood that your car’s engine runs on. As such, it is absolutely imperative that you have your engine oil changed every 3,000 to 5,000 miles. Since your car’s engine oil is responsible for lubricating all internal engine components, as well as absorbing debris and sending them to the oil filter, a failure to do so will result in potentially catastrophic engine failure. So, everyone understands how important it is to have your vehicle’s oil changed regularly. 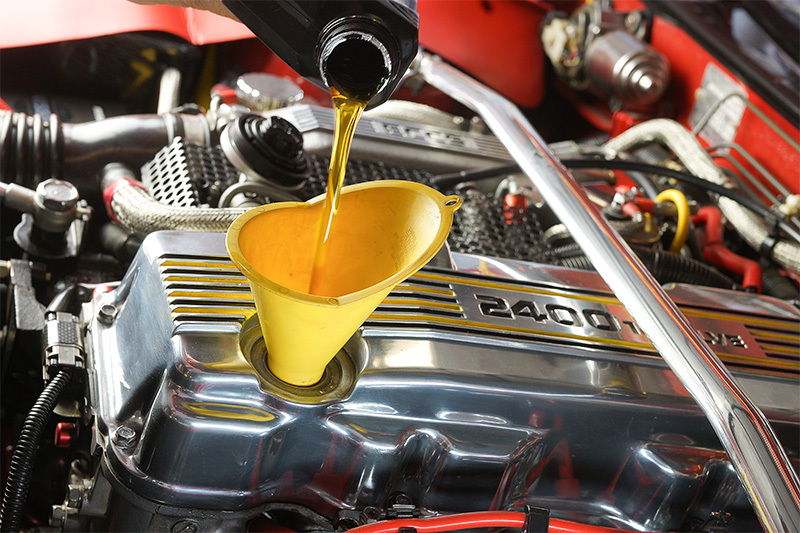 Now, we will discuss a topic that many consumers have a tentative grasp of, at best… What is the difference between conventional and synthetic engine oil? Conventional engine oil is made from highly-refined crude oil that is pumped from naturally-occurring reserves that form deep beneath the earth’s surface. Although the refinement process that is involved in the production of conventional engine oil is indeed a rather advanced process, it does not result in molecules that are uniform in both size and shape and oftentimes contains a variety of impurities. The presence of these impurities and the lack of uniformity in regards to the molecules result in a product that is not nearly as efficient at minimizing friction and reducing engine sludge as its synthetic counterpart. That being said, because the production process is much less involved than it is for a full synthetic or a synthetic blend, the price tag is reflective of this. A synthetic oil change will cost approximately 2-3x as much as the exact same service done with conventional oil. Despite its somewhat misleading name, the vast majority of “synthetic” engine oils are not truly, 100% synthetic. Most synthetic oils utilize some form of petroleum-based base oil. The big difference here is the refinement process is much, much more thorough, resulting in molecules that are consistently uniform in size and shape. Furthermore, the addition of additives and a carrier oil of some sort allows for the even distribution of the aforementioned additives. There are some varieties of synthetic oil that are actually 100% synthetic. These varieties use artificially made compounds or a fully synthetic oil as the base oil and add man-made compounds and additives to increase the oil’s overall performance. The uniformity of molecules, due to the advanced refinement process, allows for far less friction, a reduction of deposits and better overall function in extreme weather conditions. At AAMCO of Bonita Springs, our team of expert automotive technicians have years of experience servicing all makes and models, foreign and domestic. We take pride in getting the job done right, the first time around; and strive to make your experience with us as pleasant as possible by consistently providing the most reliable automotive repair services available, at affordable prices, to get you back on the road quickly.